The March issue of Coastal Living is full of colorful fabulousness. Within the issue, they highlight ways to give your home a boost of color with vintage “treasures”. I was surprised to see #4: Ceramic Parrots. Let me start by saying: I hate birds. Real birds (sorry all you bird lovers!). But they freak me out. Especially when they are flying around above my head (hello city pigeons!). However, porcelain or ceramic bird statues I like. I’ve always found them charming, and have picked up several ceramic birds over the last couple of years. This pair was just stunning, and they lived on my mantel until they sold so that I could enjoy them for as long as possible! This guy just sold last week! The buyer must be up on the trend! 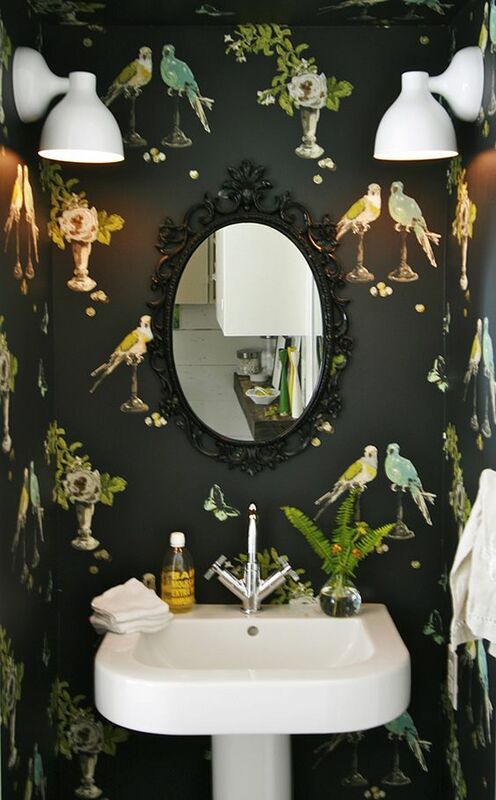 And if you’re not a figurine collector, there are other ways to incorporate birds into your decor! I’m not sure birds work in every decor scenario, but they are fun to look at when used in the right place. (Okay, now please tell me I’m not the only one out there who is freaked out by live birds!). Bunny Mellon's Auction - "Masterworks"
I love bird statues too and have been on the hunt for something special to add to my vintage collection. I’m sure you’ll find the perfect bird in your treasure hunting! Ha, once my 4 yr. old was playing on the back deck and I was cooking and heard her literally screaming bloody murder. I ran out there and there was a canary that must have escaped from someone’s home sitting on the grill top just a few feet from her. I think she hates birds to this day! I love these inspirational photos and I want that parrot lamp Kristen. Oh no! Such a funny story! Obviously not for your daughter at the time…! 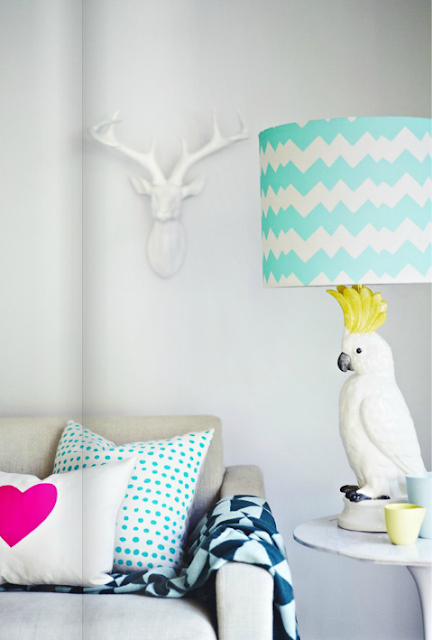 That parrot lamp is very cool! 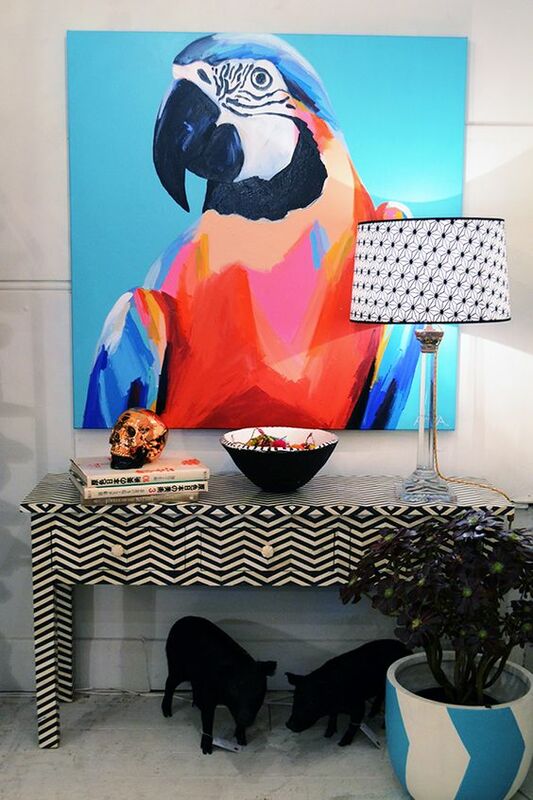 I love birds, right now I just have them on my pillows, but for sure, they add the right amount of color in any home! Bird pillows are another great “bird accessory”! Thanks for stopping by! That large parrot painting is amazing and I love the figurines! Yes, that painting is spectacular! It definitely makes a statement! Thanks for stopping by, Karena! I hate birds, too! I’m not as terrified as I used to be though. We have a pair f mourning doves who mate on our porch light every year. It’s so beautiful watching the babies grow up- and stick around! I love all animal figurines though. Perfect for eclectic decor!